Paris. A Dior model, wearing a "New Look" long skirt. the Seine River and a replica of the Statue of Liberty. One of the most surprising exhibitions so far this season focuses on Magnum, the world’s best known photo agency, founded in 1947 by the legendary photojournalists, Robert Capa, Henri Cartier-Bresson, George Rodger and David “Chim” Seymour. However, rather than showcasing its renowned images of conflict, political and social life or reportage, this show, Documenting Style, celebrates, the wealth of fashion photography in its archive. These stretch back 60 years from the launch of Christian Dior’s New Look (also 1947) to present day catwalk shows and ad campaigns for the likes of Dolce & Gabbana, Jean Paul Gaultier and Ralph Lauren. 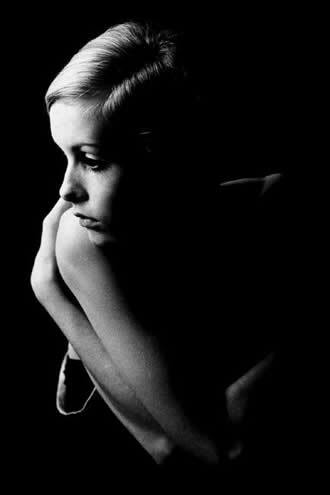 Of course there are wonderful portraits of fashion icons, notably Audrey Hepburn on the set of Sabrina 1954 by Dennis Stock (renowned for his memorable images of James Dean), Burt Glinn’s hauntingly beautiful image of Twiggy (1966) and a stunning black and white close-up of Naomi Campbell by Alex Majoli at New York Fashion Week 2004. 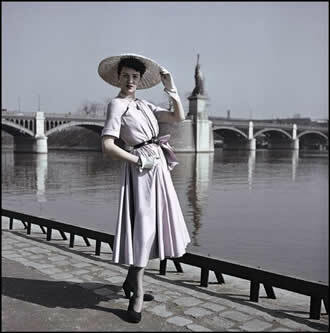 But the real revelation is to see the famed war photographer, Robert Capa, best known for images such as the Death of the Loyalist Soldier during the Spanish Civil War and the haunting D-Day landings during the Second World War, create such an elegant image of Christian Dior’s New Look 1947. And the poetic image of models twirling down steps (1950), taken by Rene Burri, who is far better known for his incisive photos of Brazil, Cuba (where he took the famous image of Che Guevara with the cigar) and Vietnam among others. Or even the stylish image for Chanel’s Haute Couture Collection at Paris Fashion Week 1986 by Abbas, who usually documents societies and cultures in conflict such as Biafra, Northern Ireland, the Middle East, Chile, and even South Africa during apartheid. It is also interesting to see how the distinctive styles of individual photographers, such as Martin Parr, Alec Soth and Bruce Gilden translate into fashion imagery. In Parr’s case, his bold, brash colours and ever present sense of humour injects a quirky, almost anti-fashion twist to his images, such as the Beach Fashion shots 2001 and Essex Fashion for Elle magazine 2001. Queens, New York. 2005. Fashion shoot. Mafia funeral. 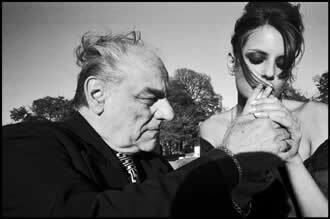 Yet where the show really fascinates is when the images blur the boundaries between photojournalism and fashion such as, Bruce Gilden’s series of fashion photos set at a Mafia Funeral, New York 2005, which places the fashion shoot within a documentary context. Or where fashion imagery plays a part of legendary reportage, such as Elliott Erwitt’s image of a male model strutting down the catwalk in Moscow, which formed part of his photo essay for Life magazine on the American Trade Exhibition in Moscow, 1959, where the famous “kitchen debate” took place between Khruschev and Nixon over the relative merits of capitalism and communism. The variety of this show is remarkable and demonstrates not only the flexibility of the Magnum photographers but of photography in general as the different genres (news, documentary, fashion, art, commercial) constantly feed each other and push creative boundaries. It is a show that certainly leaves us wanting more. So let’s hope we won’t have to wait 60 years for the fashion archive to take centre stage again.